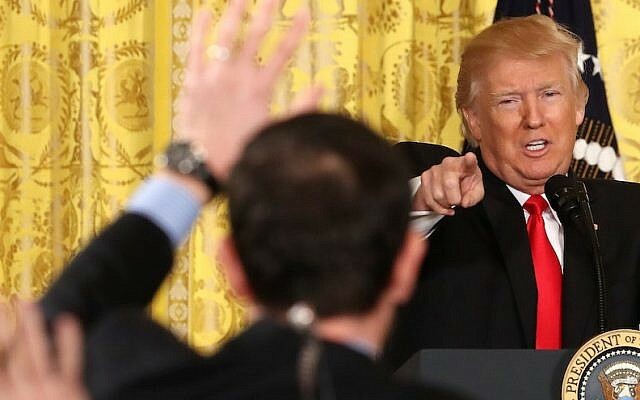 WASHINGTON — President Donald Trump shouted down two reporters who asked him about rising anti-Semitism in America, and said he “hates” being called an anti-Semite, although neither reporter called him an anti-Semite. Trump, towards the end of a contentious news conference on Thursday and fielding questions about the multiple scandals and mishaps afflicting his young administration, said he wanted to take a question from a friendly reporter. Jake Turx, an ultra-Orthodox reporter for Ami Magazine, volunteered, saying “I’m friendly,” and prefaced his question by saying that his community did not regard Trump as anti-Semitic. “I haven’t seen anyone in my community accuse you or anyone on your staff of being anti-Semitic,” Turx said. “We understand that you have Jewish grandchildren, you are their zayde,” or grandfather. “What we haven’t really heard being addressed is an uptick in anti-Semitism and how the government is planning to take care of it,” Turx continued, citing dozens of bomb threats called into Jewish community centers in recent weeks. Trump interrupted and accused Turx of dishonesty. 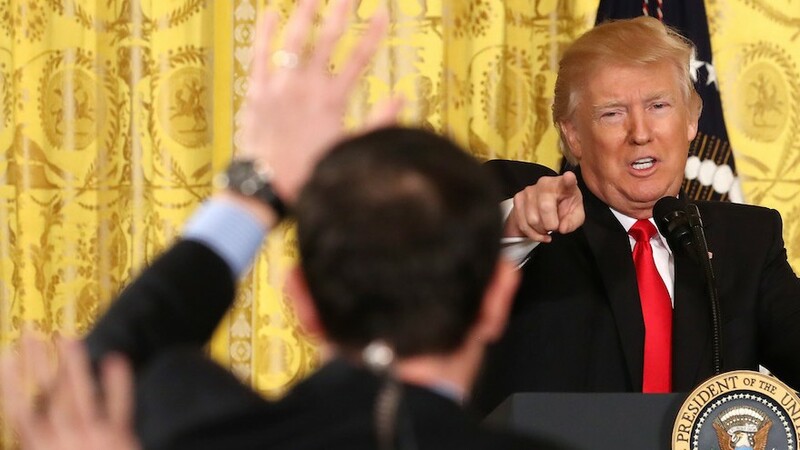 “See, he lied about, he was going to get up and ask a straight simple question, so, you know, welcome to the world of the media,” Trump said, as if speaking to himself. Minutes later, another reporter tried to raise a similar question, asking about “rising anti-Semitism,” some of it committed in his name. Trump, once again interrupting, replied that he thought a lot of the instances were his opponents trying to smear him by disguising themselves as his supporters. He defended his record, saying the country was divided long before he took office, and that it was his plan to unite it. Turx on Twitter said he hoped the White House would understand that Trump misunderstood his question.